The tech industry says says it's open to a national law protecting consumer data privacy. But even after the Senate Commerce Committee spent two and a half hours questioning some of the industry's top players, there are still little clues as to what such a law might look like. 1. Tech companies are holding their cards close for now. Calls for federal privacy legislation were prompted in large part by California’s new privacy law and Europe’s General Data Protection Regulation, which put tough restrictions on what companies can do with user data. But witnesses hedged during Wednesday’s hearing when senators asked them whether there was anything in those policies that is worth emulating nationally. The witnesses were mum except for Len Cali, AT&T’s senior vice president for global public policy, who said only that he was pleased both laws applied uniformly to all companies. The companies also kept their criticisms of the laws very general, too. 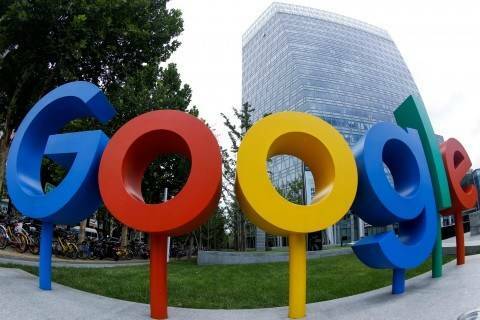 Google, for instance, said complying with GDPR had been a “tremendous challenge.” And the executives said they worried that start-ups and other small businesses could struggle with compliance costs. But overall they avoided discussing specific proposals in depth. For example, when Sen. Amy Klobuchar (D-Minn.) asked whether companies should be required to notify customers of data breaches within 72 hours, they shook their heads silently. “I’m going to take that as a no,” she said. 2. The companies agreed on broad privacy principles. The companies used the hearing to explain their companies’ privacy frameworks to lawmakers. Executives from Twitter and Apple said they viewed privacy as a “fundamental right.” And all the witnesses said they supported making their privacy policies more transparent to customers and giving users more control over what companies can do with their data. But a privacy law that applies across a broad swath of tech and telecommunications companies, each with different ways they handle customer data, is a challenge lawmakers acknowledged. “There’s often a temptation to lump technology leaders like this together, as if they are all the same,” Thune said. 3. Democrats are ready to push for an aggressive bill. A lot of Wednesday’s discussion touched on whether federal privacy legislation should supersede California’s law or any other state’s privacy policies. The witnesses agreed that it should, saying they’re concerned about having to comply with 50 separate state laws that may vary widely. Sen. Brian Schatz (D-Hawaii) said he understood their concerns, but warned them not to expect a watered-down bill. “We’re not going to get 60 votes for anything and replace a progressive California law — however flawed you may think it is — with a nonprogressive federal law,” he said. 4. Republicans seem more wary of using California and Europe as models. Sen. Jerry Moran (R-Kan.) voiced concerns about the Golden State’s privacy law and GDPR, saying “innovative and entrepreneurial businesses” could be harmed by their regulatory overhauls. Thune, too, pondered whether some of GDPR’s requirements would make it harder to launch start-ups or even discourage small companies from doing business in Europe. 5. Some lawmakers still have a lot to learn. Even though technology executives are making more regular trips to the Hill, a deep divide remains between how lawmakers and tech officials talk about privacy issues. The divergence was on display in one exchange between Sen. Jon Tester (D-Mont.) and Google Chief Privacy Officer Keith Enright. Tester held up his iPhone and told the witness it sometimes “mystifies” him. He then pressed Enright on how the company's ads work. Enright launched into an explanation of Google's advertising platform. “I want to be very clear — we understand the complexity of the Internet ecosystem,” Enright said. “I don’t,” Tester responded. 6. Congress has yet to hear from a long list of stakeholders. There are many stakeholders who weren't at Wednesday's hearing who could shake up the debate. Consumer advocacy groups were absent, and they will be sure to fight any attempts to roll back strong state-level regulation. Big tech loves to argue that any regulation will stifle innovation, but no small companies were present to talk about whether GDPR or the California privacy law have created major burdens that hurt their businesses. Academics who study privacy and who can offer empirical evidence on these topics weren't in attendance. Though three of the big five tech giants appeared at the hearing, Facebook and Microsoft were not there, and are sure to also want to play a role in this bill. Thune said not to worry: there will be more hearings on this subject where some of these perspectives will be represented. PINGED: President Trump on Wednesday directly accused China of interfering in the U.S. midterm elections -- but did not offer any evidence to back up his claim, The Washington Post's David Nakamura and Ellen Nakashima reported. “The president made the allegation during his opening remarks at a U.N. Security Council meeting on nonproliferation, asserting that ... 'They do not want me or us to win because I am the first president to ever challenge China on trade, and we are winning on trade — we are winning on every level.' "
The Chinese government pushed back on the accusation. “We did not and will not interfere in any countries' domestic affairs,” Chinese Foreign Minister Wang Yi said at the U.N. meeting. Trump defended the allegations later on Wednesday during a news conference. “We have evidence. It will come out. I can’t tell you now... They’ve actually admitted that they’ve gone after farmers,” Trump said, as quoted by my colleagues. Yet Trump's top national security advisers, as David and Ellen reported, "told reporters in August they had not found specific examples of interference ahead of the midterms from countries other than Russia, though they warned it remained a possibility. In his remarks at the Security Council meeting, Trump made no mention of Russian interference, though he did say later that his administration also will not let Moscow interfere in the elections.... Trump’s remarks appear consistent with a White House strategy, devised in the immediate aftermath of his Helsinki summit with Russian President Vladimir Putin, to spread blame for election interference beyond Russia." After Trump made the allegation, the White House quickly got a senior administration official on the phone with reporters. The official didn't offer any evidence of interference, but plenty of examples of China's propaganda and influence operations. But this is not same thing. PATCHED: The Senate Homeland Security and Governmental Affairs Committee on Wednesday advanced a bill that would establish a Federal Acquisition Security Council to help identify potential supply-chain threats when the federal government purchases IT equipment. Speaking in support of the bill, Sen. Claire McCaskill (Mo. ), the committee's ranking Democrat, said security concerns about the Russian cybersecurity company Kaspersky Lab amounted to a “wake-up call” for the federal government. The Department of Homeland Security last year directed federal agencies of the executive branch to rid their systems of Kaspersky products. Congress later banned federal agencies from using services and products from the company; the ban is scheduled to go into effect on Oct. 1. “This bill will put in place a systemic way for federal agencies to make sure national security interests are considered during the federal contracting process,” McCaskill said. She introduced the bill, called the Federal Acquisition Supply Chain Security Act of 2018, alongside Sen. James Lankford (R-Okla.) in June. The panel adopted several other pieces of cybersecurity legislation on Wednesday, including a bill sponsored by Sen. Ron Johnson (R-Wis.), the committee's chairman, that “would give agencies authority to block websites if there’s a pressing cybersecurity need,” Nextgov's Joseph Marks reported. 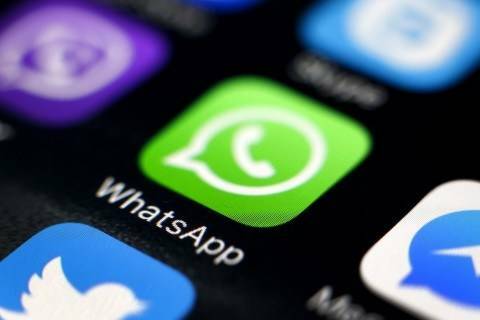 Under the bill, called the Federal Information Systems Safeguards Act of 2018, federal agencies could “override union objections to block employees from using personal email accounts or Facebook on work computers,” Marks reported. — “Legislation introduced in the House Wednesday would create a stronger federal chief information officer and establishes a chain of command for some of the administration’s most important IT officials,” Nextgov's Frank Konkel reported. “The Federal CIO Authorization Act of 2018 would make the federal CIO a presidential appointee who would report directly to the Office of Management and Budget director. Currently the federal CIO reports to OMB’s deputy director for management.” The bill was introduced by Reps. Will Hurd (R-Tex.) and Robin L. Kelly (D-Ill.). 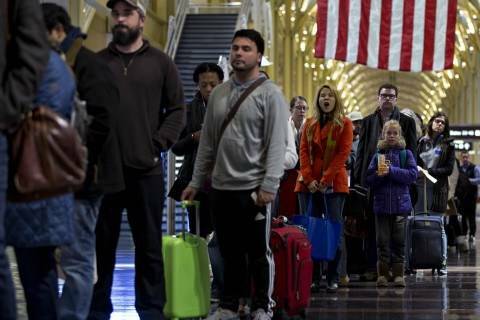 The feds are mad that, in a pilot program, airlines are keeping flights on time by letting passengers skip a facial recognition procedure at boarding. 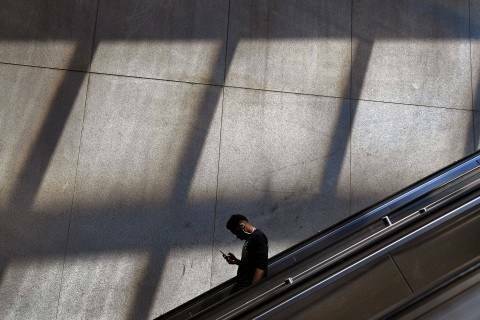 Mobile apps need explicit permission to access your smartphone's motion and light sensors. Mobile websites? Not so much. 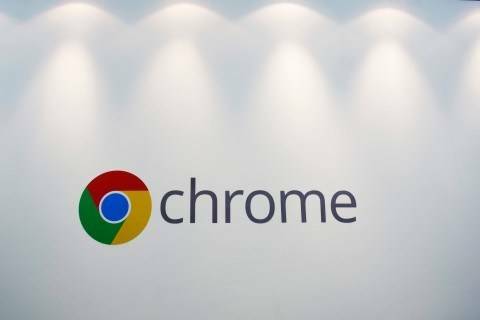 Google said users will be able to opt-out of getting automatically signed into Chrome. Facebook’s $22 billion WhatsApp purchase made Brian Acton one of the richest people in America. But his idealism clashed with Mark Zuckerberg’s financial juggernaut. For the first time, Acton explains why he left. The internet giant has largely avoided the scrutiny faced by its internet peers. Now lawmakers are questioning whether it has too much influence. 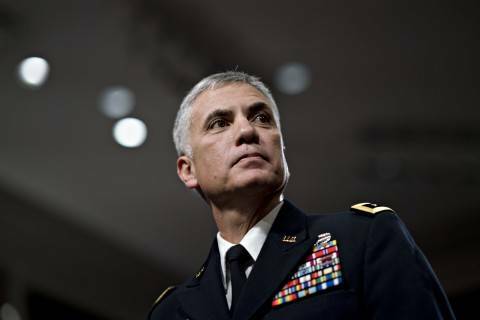 America's promise to hack foreign countries means the Department of Defense will purchase more off the self cyber equipment. 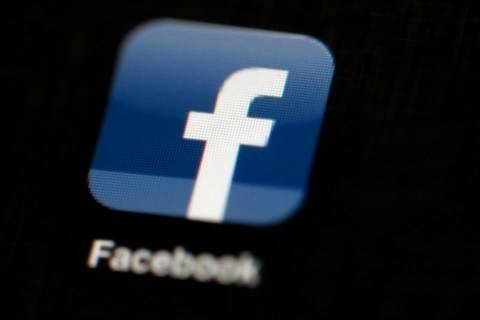 — "European Union lawmakers appear set this month to demand audits of Facebook by Europe’s cybersecurity agency and data protection authority in the wake of the Cambridge Analytica scandal," the Associated Press reports. "A draft resolution submitted Thursday to the EU Parliament’s civil liberties and justice committee urged Facebook to accept 'a full and independent audit of its platform investigating data protection and security of personal data.' "
House Energy subcommittee hearing on the Energy Department's Office of Cybersecurity, Energy Security, and Emergency Response.